This stunning venison cannelloni recipe is a wintry sight to behold. 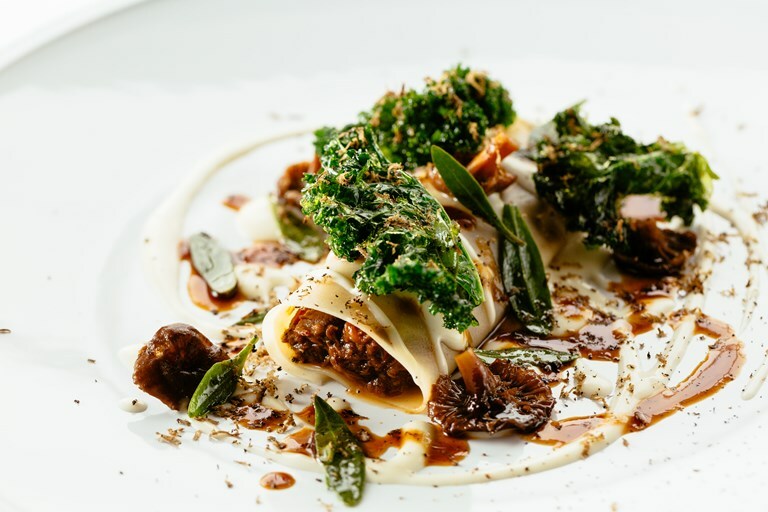 Paul Welburn playfully evokes the flavours of a traditional cannelloni with a rich Parmesan sauce, while the intense braised venison is flavoured with juniper for a heady flavour. As indicated here, this dish makes a sublime starter, but feel free to serve as a main course with three cannelloni per plate.